With christmas on the way you can't beat that personal touch for nannys and grandmas, My mums a sucker for a personalized calendar with 4 older brothers she is without a doubt going to end up with a fair few but she still loves them none the less. On snapfish not only can you get your standard prints done but you can choose from a HUGE range of different things acrylic blocks,mugs,calendars (4 different styles not to mention a choice of sizes too) Christmas tree decorations,photo books,cards,posters,canvas and much more including animated gifts too! 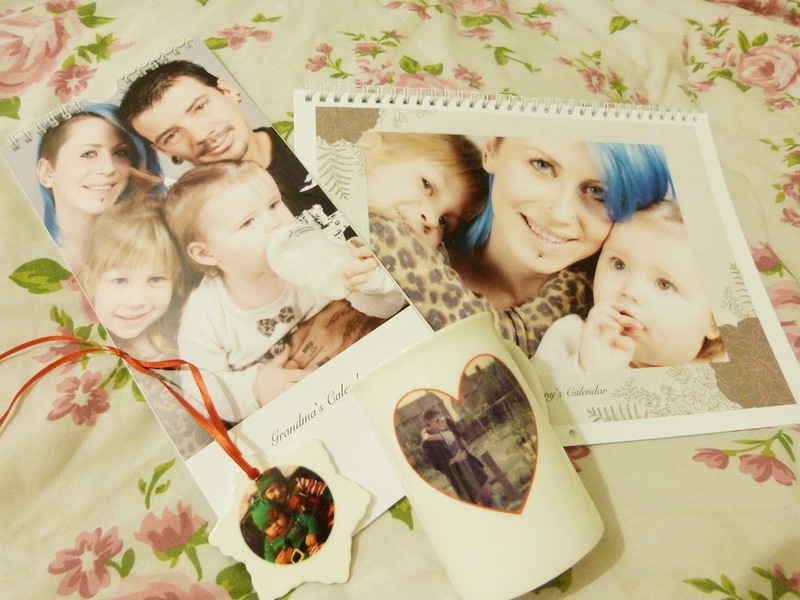 With so much on offer it was so hard to choose what to get but in the end I settled for a calendar each for my mum and Andy's mum, a porcelain mug for my mum and a cheeky present for myself a gorgeous tree decoration. It's really simple to do, I had a bit of trouble getting it to load the option to get photos from my laptop but got their in the end, to make it easier you also have the option to upload from Facebook too. My items arrived in 3 separate deliveries but each one arrived one after the other and within 4 days maximum for the last delivery. I'm super pleased with the quality of each of my items. While showing a friend the pictures I'd got ready for this review, she couldn't wait to get her hands on some for christmas presents this year. 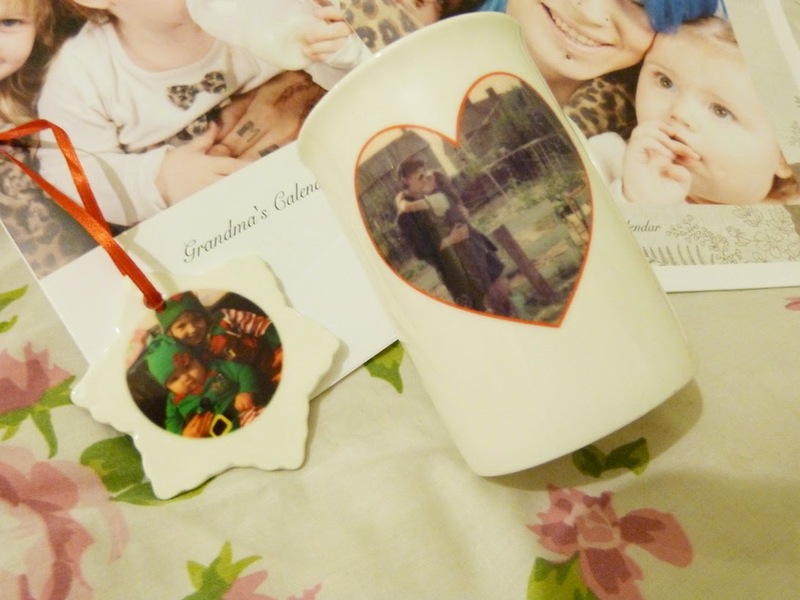 With my mum having arthritis in her wrists she struggles to hold a normal mug so as soon as I saw a porcelain one I just had to get her one with one of my favourite photos of her and my dad from when they were younger. Start a tradition by creating your own collection of photo ornaments and adding to it each year. With a Porcelain star with your choice of photo in the centre. As soon as I saw the option of having a photo of the girls in a christmas ornament I just had to have one, I'd love to add to my collection with a new picture every christmas of my girls as they grow. Will be on the list to get grandma and nanny one too! Share a year of smiles! Enjoy your photos every day of the year with a unique photo calendar. 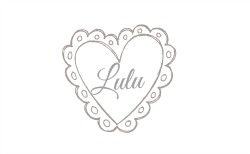 When your a nanny of 12 and a great nanny 6 it's handy to have each of their birthdays jotted down to remember when they all are instead of having to write it down in pen and risk running out of space, Having it already printed in the calendar is perfect! 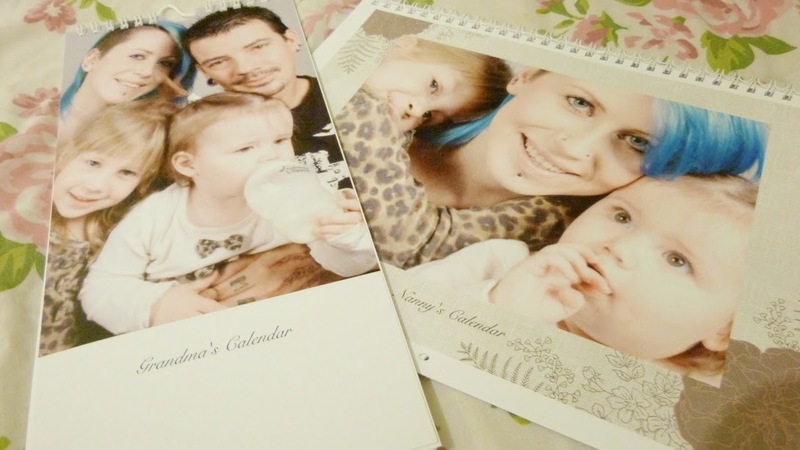 Snapfish offer 4 different styles of calendar each with a range of sizes and an even wider range of backgrounds to use. 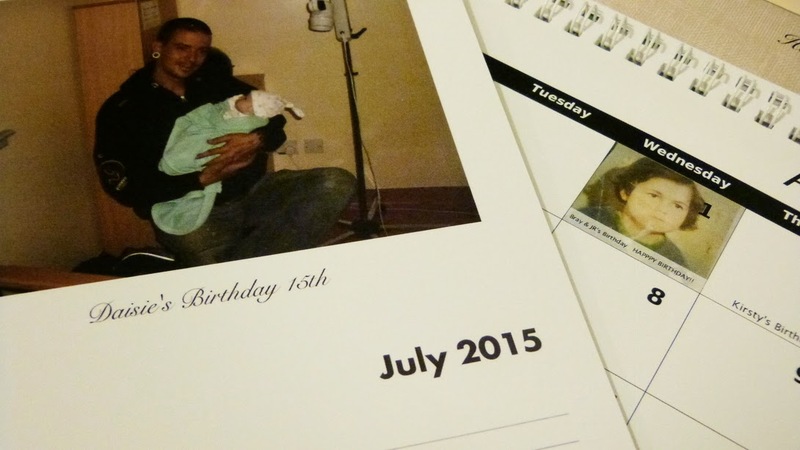 Don't fancy having each birthday printed off? Or have a few birthdays in one day one being your own? You can pop in a picture of the birthday girl/boy! My mum not only shares her birthday with two of her sons but they are all born on April fools day I'm promise I'm not early and its not an April fools. So with each of the boys birthdays jotted down as well as a happy birthday message to my mum a picture of her as a little girl in the box just added that special touch! I love Snapfish :) I find it so much cheaper than most other photo sites!